It’s when an economy suffers two consecutive quarters of negative economic performance. It refers to shrinking economic output, sometimes also known as negative economic growth or economic decline. In short, it implies that the economic activity of a country is declining. This is never a good thing. In South Africa’s case it’s particularly serious because the country needs strong economic growth to make inroads into unemployment, which currently stands at more than 27%. South Africa desperately needs a strong economy for other reasons two. The first is that the living standards of its citizens can’t improve without economic growth. The second is that the economy needs to grow for the government to be able to increase revenue to meet its growing social welfare budget. There are other ways to describe a recession, although the technical definition is one that’s generally accepted. Other definitions include “an economy performing below potential” or “an increase in the output gap”. As an aside, it’s interesting to note that there’s a technical definition for a recession, but no agreed definition for a depression (as in Great Depression of the 1930s). 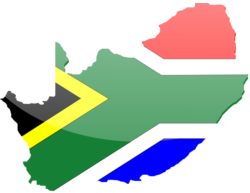 South Africa’s economy showed marginal positive growth for 2016, although it then contracted in the fourth quarter of the year. With similar contraction in the first quarter of 2017, the country entered a technical recession. If the economy shows positive growth for the remaining three quarters of this year, South Africa will avert a recession for the calendar year 2017. Economic activity contracted over a wide range of sectors, including construction, manufacturing and transport. Only mining and agriculture made a positive contribution to output growth. All other sectors contracted. This reflects subdued demand throughout the South African economy. The data on the first quarter confirms what many small and medium business owners have been saying since the beginning of 2017 – that demand is down and that business conditions are tough. The important question is whether this recession will continue in the second quarter – April to June, or whether there will be a turn around to economic growth. It’s difficult to say who is to blame. But it must be noted that recessions are rare events, as policies are generally aimed at economic growth. This is the second recession experienced in the post 1994 South Africa. Rapid economic growth depends on investment, which in turn is dependent on confidence and positive expectations of the country’s future. President Jacob Zuma’s administration doesn’t instil confidence. This partly explains subdued investment. The recent credit risk downgrades into sub-investment grade has made South Africa a less attractive investment destination. The lack of confidence is also reflected in suppressed demand, which in turn results in contractions in economic output. How do we get out of it? Investment is required to get South Africa out of its depressed economic conditions. Investment will boost demand in the economy, with positive spill-over effects into a number of sectors. Naturally restoring South Africa’s credit risk rating to investment grade would help boost investment. A better credit rating would reduce the risk of investing in the country. While the economy tanked they said they will defend some guy with their buttocks and will "pick up the rand". Now we in #Recession 😥😥😩. The upcoming credit rating decision from global credit rating agency Moodys’ is going to be a critical moment. This after two big rating agencies Fitch Ratings and Standard & Poors downgraded some of South Africa’s instruments into sub-investment grade. A downgrade from Moodys’ will trigger massive capital flights which will exert further pressure on the economy. What company are we keeping? Are other countries in the same boat at the moment? South Africa is joining a growing list of countries which have slipped into technical recessions. These include Ecuador, Equatorial Guinea and Venezuela. It’s important to remember that a country’s status can change from quarter to quarter depending on its growth rate. This means that an assessment of economic growth or recession status needs to be made based on the most recent data. Jannie Rossouw is Head of the School of Economic & Business Sciences, University of the Witwatersrand. We have been noting for some time that while we expected overall South Africa GDP growth to perk up in 2017, it would be primarily due to agriculture, mining and tourism. As a result, we had worried that the domestic economy was effectively in recession. Statistics SA’s publication of the 1Q17 GDP data showed that the weakness of the domestic economy was so prevalent that it overwhelmed the boon of the agricultural and mining sectors. The economy contracted by an annualised 0.7% between the final quarter of 2016 and the first quarter of 2017. This was well below the 1% expansion that was expected by consensus. There are significant implications of this for growth forecasts, government revenue expectations, credit ratings and interest rates. – Transport & Communication – the transport sector contracted. The weakness was widespread. Figure 1 shows that only two sectors (mining & agriculture) grew in the quarter. The consumer is under massive pressure. Every category of consumption (aside from services) contracted in the quarter, as set out in Figure 2 from StatsSA. The nominal GDP growth rate was hugely distorted by the tax impact in the quarter. Nominal GDP before taxes grew by a weak 6.3% – which is low but we have seen similar levels in recent years. However, compensation recorded its weakest nominal growth rate since the early 1990s, as highlighted in Figure 3. This is due to the continued job losses, weak wage growth and the tax hikes we saw in the first quarter. The consumer has no further ability to absorb tax hikes. There will be a large negative impact on growth if this occurs. Weaker consumption will pull down growth forecasts. If we assume that semi-durable (principally clothing) volumes are flat this year and non-durables (food) only grow in the second half of 2017, we pull down our overall SA GDP growth forecast from 0.9% in 2017 to 0.5-0.6%. We are rapidly heading back towards the 2016 realised growth rate of 0.3%. We were assuming that growth would pick up through the year due to better fixed investment, however the cabinet reshuffle at the end of March has put paid to that expectation. The SARB has already downgraded its 2017 growth forecast to 1% at its May MPC meeting (Figure 4) – and it will be falling further at the July MPC meeting. Government revenues are at risk. Weak growth will result in weak government revenues. The new Finance Minister will be making difficult decisions at the October MTBPS. The government will be left with the unfortunate choice of having to cut expenditure further. Weak growth will put pressure on South Africa’s credit ratings. All the rating agencies put particular emphasis on the country’s prospective growth profile. Prior to this release, we had expected Moody’s to downgrade both the local and foreign currency ratings by one notch to the lowest investment grade rating of Baa3 (equivalent to BBB-), and put the country’s outlook at stable. This growth data raises the risk of a downgrade and a negative outlook from Moody’s. With S&P already holding the local currency rating at BBB-, negative, that would make the bond market worry about a possible ejection from the Citi WIGBI index. An investment grade rating from either S&P or Moody’s is required for SA rand-denominated debt to remain in the WIGBI. Given the growth in foreign ownership of SA debt in recent months, this is important. Figure 5 shows that foreigners have bought a net ZAR49bn of SA govt debt between February and April 2017, while local investors have sold ZAR17bn. Weak growth will increase the impetus for the SARB to cut rates. The expected plunge in inflation was always going to put pressure on the SARB to cut rates by 25bps-50bps in 2017. 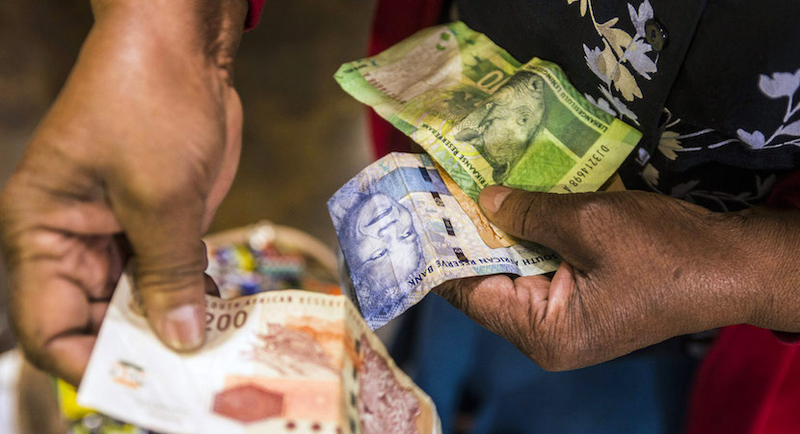 While the Bank is clearly worried about the impact of South Africa’s politics on the rand and thus inflation, the widespread weakness in the domestic economy could spur a cut as early as July. The economy is just that weak! Only action will restore confidence at this point. Nazmeera Moola is co-Head of Fixed Income, Investec Asset Management.